Be it a home cleaning — or any other field you aspire to grow your brand or company in — optimizing your customer’s service experience will be the backbone of your success. With new companies being incepted on the daily,the importance of creating personalized connections with your consumers is becoming more of a need than ever. As someone who’s been in and around startup work atmospheres, I can attest, firsthand, that the beginning stages of building brand loyalty is the first and hardest obstacle a brunt of newbie companies will run up against. Let’s face it: With the technology-driven world we grace, you’re services are only as reliable as their last reference, or review. More specifically, without a possessing a track record or experience in a competitive field, it takes a maximum amount of innovation and business savvy to grow a non-existent client base. The more competitive your space is, the more you’re going to have to execute in order to stand out from your competitors. 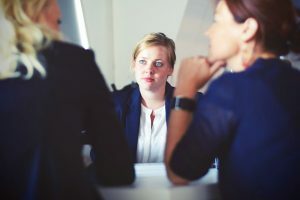 Inevitably, you’ll be forced to deal with mishaps — from time to time, which will come up along your trial-and-error journey to a well-oiled customer service machine; this is why training your employees on the dos and don’ts of dealing with clientele is a must. For obvious reasons, most upper echelon companies have invested highly in their customer service department(s). Ironically — with the objective of trying to streamline the process — a slew of them have gone the automation route with their clients. Hence, why more personalized interactions, the old-fashioned way, are a clear-cut opportunity to beat out your competition. As impressive as today’s advancements are, there’s no denying the satisfaction customers get when dealing with a real person.